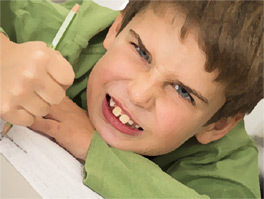 Does Your Child Struggle with ADHD and Behavior Problems? Having a child with attention issues, impulsivity, behavior problems and hyperactivity is really difficult and stressful, not only for your child but also for the entire family. Now you’ve learned about neurofeedback… Are you feeling cautious or afraid to hope? Do you wonder why you haven’t heard of this solution before? Neurofeedback helps the brain learn new patterns, allowing the symptoms of ADHD to dissipate. With neurofeedback, or brain training, most kids (and adults, too!) can learn to gain better self-control and improve attention. In many instances, people with ADHD show a pattern of slow wave activity in the brain. Neurofeedback helps regulate, speed up and stabilize this activity. In the process it calms the person and, with repetition, changes the brain to remain there without medication. This occurs because there’s been an actual change in the brain (not just a change in behavior brought on from the temporary effect of medication). These changes tend to hold once the new patterns are firmly established. Just like riding a bike, once we learn a new pattern, we’re unlikely forget it. Doing neurofeedback is similar to playing a video game, which is one reason kids generally enjoy doing it. The difference is that they move the game forward with their mind instead of a joystick. It’s that “brain power” activity that teaches their brain new, healthier patterns. Why hasn’t my doctor told me about neurofeedback? You and your doctor might not have heard about neurofeedback because it’s a non-drug treatment. In the United States, our health culture is centered on drugs. Therefore other approaches, even though they are effective, are often overlooked because they lack large promotional budgets such as those of pharmaceutical companies. This video was part of a national news show in Australia. It’s one of the best videos we’ve seen about neurofeedback. 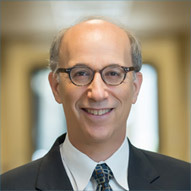 The psychologist interviewed is Moshe Perl, Ph.D. He has reported solid clinical success with neurofeedback and used it with hundreds of children and adults for more than 10 years. Please note, the cost mentioned in this video is in Australian currency. Neurofeedback is an affordable, safe, and medication-free method of getting your child the help he or she needs. Please call the Center for Brain at 561-744-7616 for more details. Many parents have concerns about medications and side effects associated with their extended use. The list can be long and include loss of appetite, cardiac risks, interference with sleep or your child becoming “less personable.” There is also concern that children are taught to use pills to solve problems. With medication, the benefits disappear when the treatment is stopped. Dosages may need to be changed due to increased tolerance, additional medications added, and side effects are always possible. As an alternative to medication, neurofeedback can often help people reduce or eliminate drugs prescribed for ADHD. As mentioned above, with ADHD there may be too much slow activity in brain regions that regulate focus and attention. ADHD clients compensate for this slower-than-normal brain activity with constant body movement aimed at “waking up their brain” so the person can focus without constant body movement. This is what stimulants do, except that their effect disappears as the medication wears off. Slow activity in certain brain regions is also associated with lack of motivation, distractibility, inattention, depression, and worry. Excessive fast activity in the brain can also cause problems such as impulsivity, aggressiveness, and anxiety. Imagine your brain racing so fast that it’s difficult to listen or sit still. People with ADHD tend to be very intelligent and often get the big picture right away. Because their mental pace may be faster than the person giving the instructions, they move ahead and miss many of the details. Children with ADHD often grow up to be adults with ADHD. ADHD can look different in an adult. Click on this video to see what a day in the life of an adult with ADHD can look like. > Read about some ADHD studies here. Dr. Tanju Surmeli, a psychiatrist world-renowned for his research in neurofeedback and psychological disorders, weighs in on the role of neurofeedback for sleep disturbances that can exacerbate symptoms of ADHD and ADD in an interview with Mike Cohen, Director of the Center for Brain Training. ADHD is a brain problem. Doesn’t it make sense to focus directly on the problem? Call us at 561-744-7616 to schedule your appointment with the Center for Brain Training. 14-year-old Sai was making C’s and D’s. He had trouble understanding what he read. His vocabulary and maturity were that of someone two years younger. His parents had him evaluated by a psychologist who suspected something wasn’t right in the way the parts of his brain were communicating with one another. She recommended he try neurofeedback training at the Center for Brain Training. After five months of training, not only did he start doing homework without assistance, but he made the honor roll for the first time in his life. From Anger to Peace – How One Teen Turned His Life Around with Neurofeedback – “I could see a significant change in his eyes,” she noted. “They were clear and his mood was upbeat, not depressed. He also seemed to feel at peace.” Then other small changes occurred. Without being asked, he cleaned his room and closet and began keeping them tidy without prompting. He engaged more with the family and spent less time playing video games. Four-year-old “David” was out of control. The youngest of four children, he was constantly seeking negative attention at home. He’d jump on and try to harm his siblings, screamed around the house and wouldn’t sit still. In September of 2017 Talia acquired a home-use neurofeedback system, using it with David twice weekly. Almost immediately he began behaving better. After eight sessions my son was less prone to anger and emotional outbursts, more communicative and calmer. He now spends his free time working on cars (and not watching video games). He and I have more of a normal father-son relationship. I’m amazed by the power of Bradley’s neurofeedback training. It’s been incredible, a miracle. My son started doing neurofeedback when he was 9. We got help for him because he was hyperactive, difficult to deal with, and getting complaints from teachers. I didn’t want to put him on medication. I decided to try neurofeedback because it was a non-medication option. It was important to me that we went to the best. Even though the Center for Brain office is in Jupiter and we live in Port St. Lucie, we made the drive there because Mike Cohen has the reputation of being one of the best practitioners in the country. We had a brain map done so that the training could be more targeted, and my son made positive changes pretty quickly. We eventually decided to put him into a different school, which he liked much better. Two years later, he’s a different kid. I credit the combination of neurofeedback, a different school and maturity. Today he’s having no problems in school and is a delight to be around. That drive to Jupiter was definitely worth it. I started doing neurofeedback because I have suffered from ADHD throughout my life and was seeking a non-pharmaceutical way to deal with it. I didn’t want to be on medications for the rest of my career. Since I’ve been doing neurofeedback my life has changed dramatically. Besides doing neurofeedback myself I recommend it to patients with a multitude of diagnoses who tell me they aren’t willing to have psychotherapy and don’t want to be on medication. My daughter, who is now 8, was having trouble in school. We got a lot of negative reports from teachers that she had difficulty focusing and was impulsive. After a little over a year of neurofeedback training at Center for Brain she has improved greatly. Her teachers report that she’s calmer in class, is focusing better, is less impulsive and is picking up better on social cues. Center for Brain has helped her a lot. Mike Cohen is really down to earth and knows how to relate to kids. My daughter looks forward to going for her sessions. I would highly recommend Center for Brain. When my 10-year-old son was 3 he was already having problems related to hyperactivity as well as sensory, auditory and visual processing. He got so out of control that by the time he was 5 he had been expelled from five kindergartens. He was biting and hitting other kids, couldn’t sit still and wasn’t sleeping well. When our local neurofeedback practitioner was no longer available, we did some research and found Center for Brain. We traveled to Jupiter, did a brain map and started my son on a customized neurofeedback protocol, eventually buying our own equipment to train him at home, with telephone and in-person support from Mike Cohen. Almost immediately he began sleeping better, following directions better and exhibiting better impulse control. Soon afterward his sensory issues diminished, he was able to sit still and his attention span grew. We’ve been training him twice a week since then. He is now doing very well at home and in school. Neurofeedback changed his life and the life of everyone in the family. Here’s a bold statement that might surprise you. Read the article.